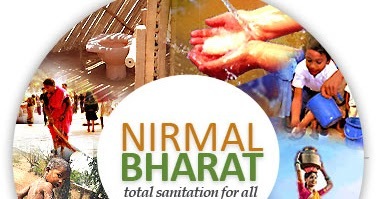 Nirmal Bharat Abhiyan (NBA) – The sanitation program which was established by the government of India in the year 1999. The main motive of this Nirmal Bharat Abhiyan Program is to create awareness among the people about the importance of sanitation particularly among the people from rural areas. To be frank, the scheme Nirmal Bharat Abhiyan was the first project which was established with well planned and structured program specially made for rural India. The entire project is processed under the principle driven of the Community – Led total sanitation (CLTS). In order to improve the quality of life of the people from the rural parts of the nation and to safeguard the rural women by educating them to use proper sanitation this scheme Nirmal Bharat Abhiyan was launched. Though, there have been some schemes and plans established earlier by the central government, the Nirmal Bharat Abhiyan had much more structured campaign programs which create awareness among the people from rural India. In the year of 2012, the Nirmal Bharat Abhiyan (NBA) achieved tremendous success in covering more number of rural villages with proper sanitations. The immense popularity driven by the campaigns conducted under this Nirmal Bharat Abhiyan (NBA) encourages more number of rural people to provide proper sanitation facilities to their family members. The introduction of Nirmal Bharat Abhiyan (NBA) yojana is to create quality life of living for the people who are living in the rural parts of the nation. The vision of the scheme Nirmal Bharat Abhiyan (NBA) is to accelerate the usage of proper sanitation in the country through various gram Panchayats. To motivate publics and various educational Institutes to get use of proper sustainable sanitation facilities by creating awareness through proper campaigns and programs under the scheme. The NBA scheme also covers Sarva Shiksha Abhiyan (SSA) where, the school children are educated on the importance of the health. And to teach them of using sanitation facilities. To develop the awareness of cleanliness and to guide rural people on proper disposal of solid and liquid waste with proper waste management process. In year of 2014, the scheme Nirmal Bharat Abhiyan (NBA) has been Disestablished, as the scheme has been renovated with the new scheme Swachh Bharat which are introduced by the current NDA government and the Prime Minister of India Mr. Modi launched this scheme, by requesting fellow citizens to keep the nation clean and help peoples to keep the nation clean.